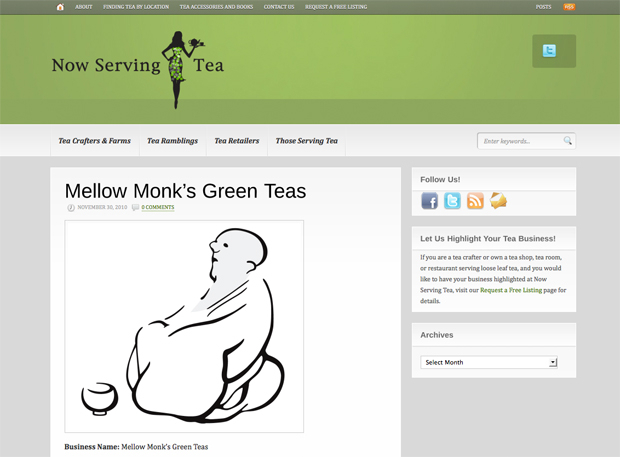 Mellow Monk is the featured entry today on the wonderful website Now Serving Tea. The Monk's site and Now Serving Tea are both dedicated to maximizing tea happiness. As previously sneak-previewed, Mellow Monk has added a new tea to our lineup — Crimson Grove, a black tea (kocha, or "crimson tea"). 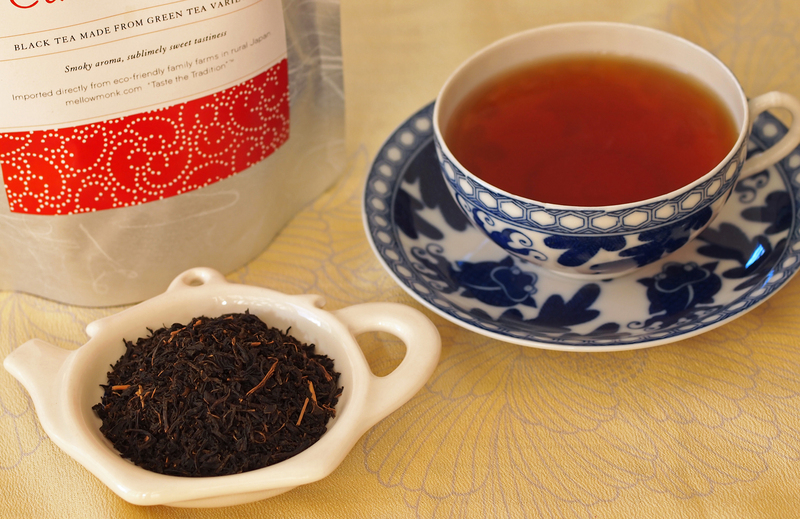 What makes Crimson Grove special, however, is that it's made from leaves from green tea varietals — and that the leaves are only lightly fermented after harvest. Crimson Grove's deeply dark leaves yield a caramel-brown brew with a light sweetness combined with a smoky lusciousness, with overtones of nutmeg. This unexpectedly delicious combination must be tasted to be believed. And once you taste it, we are sure you will want to keep tasting it over and over again. What was known in Asia as "crimson tea" — from the color of the brew — was dubbed "black tea" by the British from the color of the leaves. A chakonshiki is a traditional Japanese wedding ceremony that incorporates elements of the tea ceremony. 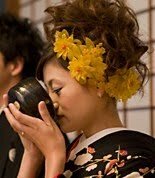 If the happy couple is not already familiar with the tea ceremony, they must practice with a tea master for months ahead of the event. 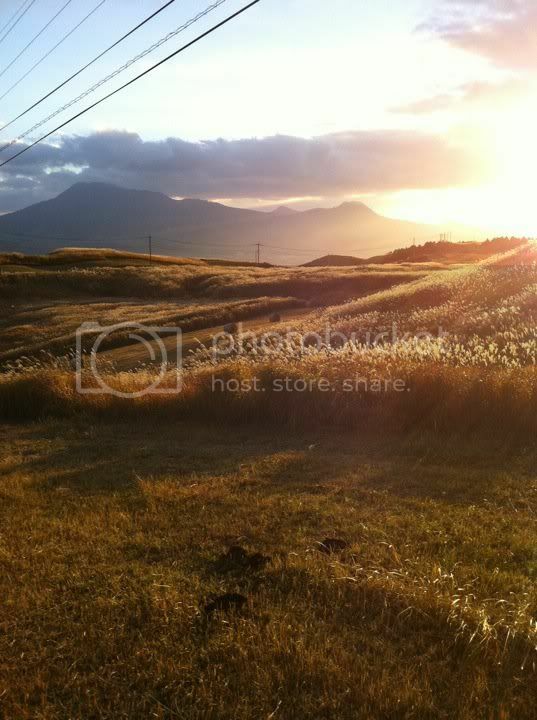 Deciding on a chakonshiki is thus a serious commitment (as is marriage itself), but surely the results are worth it. 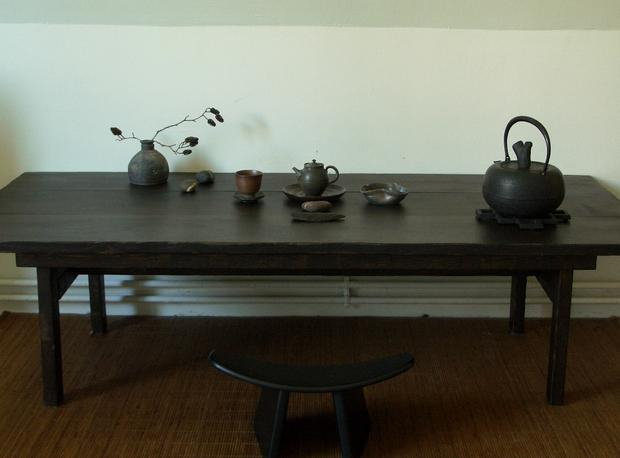 The four elements required for the tea ceremony — wakei seijaku [和敬清寂] (harmony, respect, purity, and tranquility) — are all in place. 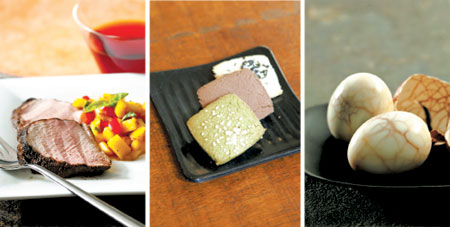 Green tea is a truly versatile ingredient in the kitchen. 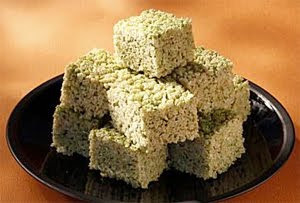 For instance, for dinner you could have a lovely green tea soup, followed by matcha brown butter crispy rice treats for dessert. The soup recipe calls for 8 tea bags of genmaicha, but instead you can simply brew a largish-sized pot of loose-leaf genmaicha. And instead of black cod, you could substitute any white fish — or even chicken for that matter. 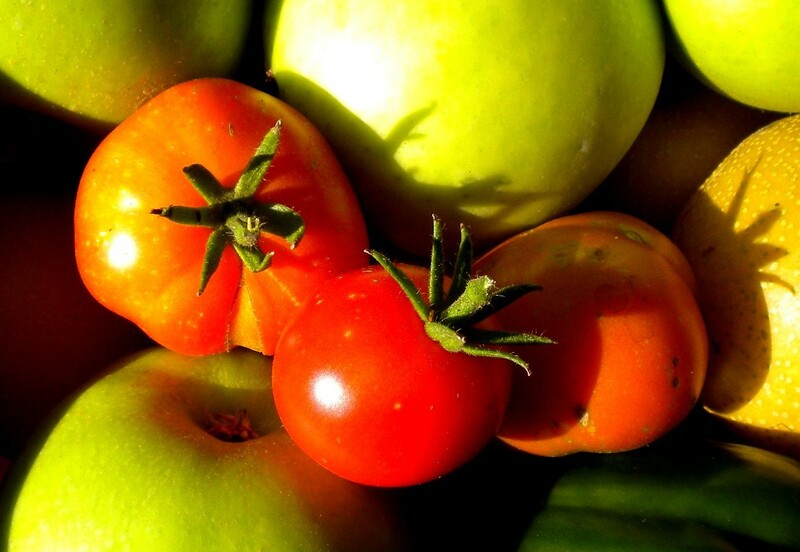 Experimenting is an important part of cooking, and we would love to hear about any variations you come up with. 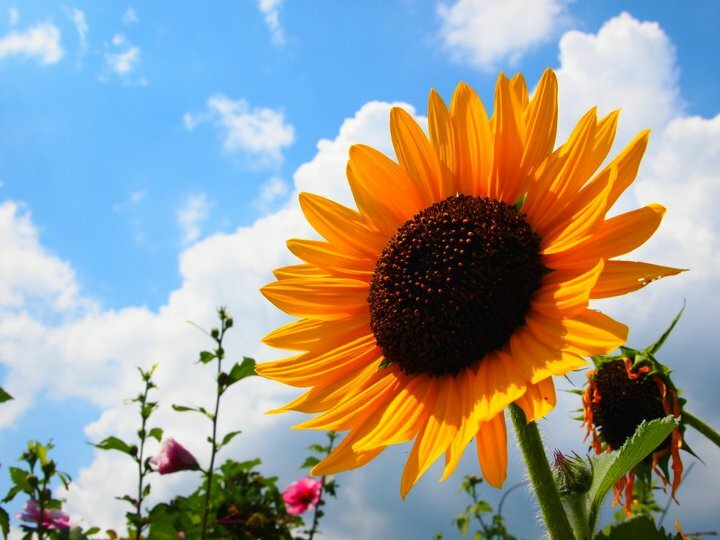 A relation sent in this just-taken photograph of a sunflower against a blue sky in Aso. I am posting this a little late, but here is a shot of an August harvest from our humble little garden. If you aspire to be the world's best pourer of tea, you first have to best this young man. We finally arrive at the last segment of the Channel 4 documentary "Flavors of West Japan." 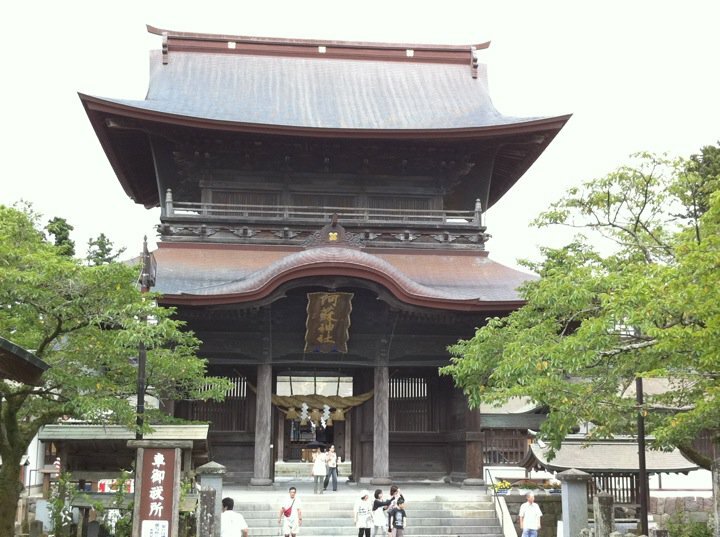 This is the segment that features Mellow Monk tea growers, the Nagatas, who were chosen to represent all of Kyushu. While husband Koji tends the tea fields, his lovely wife Miho shows us how to brew green tea properly. This video is also available YouTube. You can also check out previous segments of the documentary.